I put three recipes together, to come up with this dessert for two. 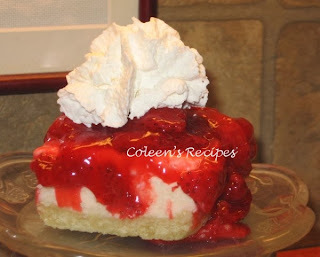 It has a shortbread cookie crust, a creamy cheesecake layer and it is topped with a jelled strawberry topping. The contrast between the smooth vanilla cheesecake and the juicy strawberries was excellent!!! Mix the dry ingredients and cut in the butter. Press, evenly, onto the bottom of a greased foil lined mini-loaf (6" x 3" x 2"). See important note below. Bake the cookie crust in preheated 375 oven for 10-12 minutes or just until it starts to turn golden. Set aside to cool. Beat the cream cheese, sugar, flour and vanilla until smooth. Beat in the egg white until well mixed. Pour over the baked (and cooled) cookie crust. Set the mini-loaf pan inside of a larger pan (I use a 9" cake pan) and put enough HOT water in the larger pan, so that it comes about half way up on the mini-loaf pan. Bake in preheated 325 oven for 28 to 33 minutes (my oven takes exactly 33 minutes). You'll know it is done when it barely jiggles when you tap the pan. This little cheesecake has NEVER cracked on me. Cool about 20 minutes before putting it into the fridge to chill for several hours. Cook strawberries and sugar in a heavy saucepan. When the strawberries start cooking, they will release lots of liquid. Let this cook for about 3-4 minutes, or until strawberries are soft. Thicken the mixture with a slurry of cornstarch and water (1 tablespoons cornstarch + 1 tablespoon water). Cook until this mixture thickens. Remove from heat and stir in ½ teaspoon vanilla. Cool to room temperature and pour over the cooled cheesecake. Put the whole thing in the refrigerator to chill for several hours. To serve, gently lift the dessert out of the pan by holding onto the foil ends. Peel back the foil and cut in half. IMPORTANT NOTE: Make sure you line the mini-loaf pan with foil and then spray it with vegetable spray. 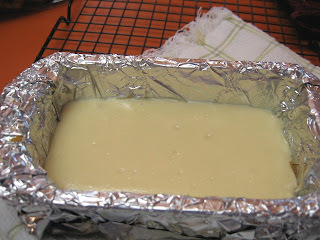 Leave the ends of the foil long enough so that you can grab onto them and lift the chilled cheesecake out of the pan. what do you mean, dessert for two? I would not necessarily want to share that, :0) it looks so delicious! Srawberry cheesecake is so basic but it's just so good! I love when you post recipes for two! 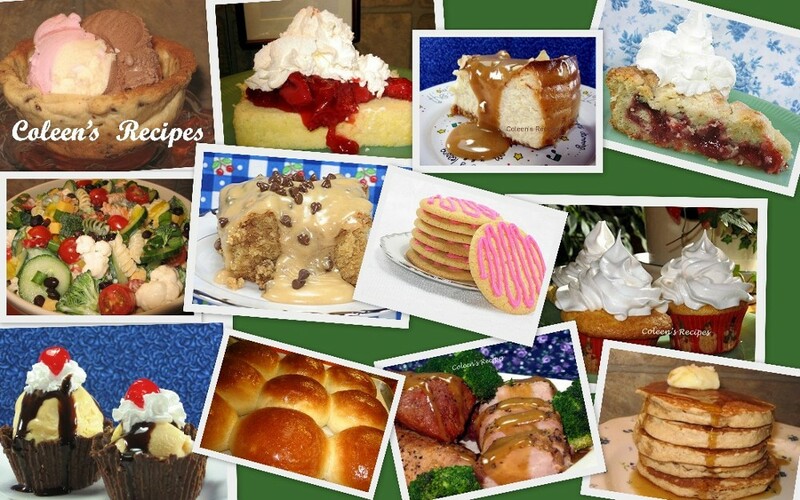 I discovered your blog while visiting another food blog and I love your recipes. I haven't tried any as of yet, but I'm planning on trying some of your recipes really soon. These recipes seem so easy to make and they come across as affordable, too. Keep up the good work and I hope to make some items really soon. What a refreshing dessert. We love strawberries and they are so cheap right now. Thanks. oh my gosh, my mouth is absolutely watering! this looks awesome! Oh, this is such a great idea for an intimate dinner. Sounds delicious.